Windows 10 haven’t been a very popular choice among users and organizations dealing with data scarcity. Microsoft gave users a surprise by installing Windows 10 on their services during its free upgrade phase, but the horrors didn’t stop there. Windows 10 does not give an option to pause updates. That’s for the better, but it’s a very narrow approach. There are people who rely on expensive satellite or cellular data and cannot afford to download frequent updates for Windows. Thankfully, Microsoft was considerate enough to keep this issue in mind. Windows 10 offers an option to stop downloading updates if the user is on a metered connection. Unfortunately, for a reason beyond our comprehension, this option is only available if the Windows 10 PC connects to the Internet via Wi-Fi. However, in the Insider builds for the upcoming Creators Update, Microsoft made a few changes. It is now possible to mark an Ethernet connection as metered. Unfortunately, that’s where the good news ends. Microsoft has come to its senses and expanded the feature, but it has also changed its behavior. And it’s for the worse, even for those on Wi-Fi. 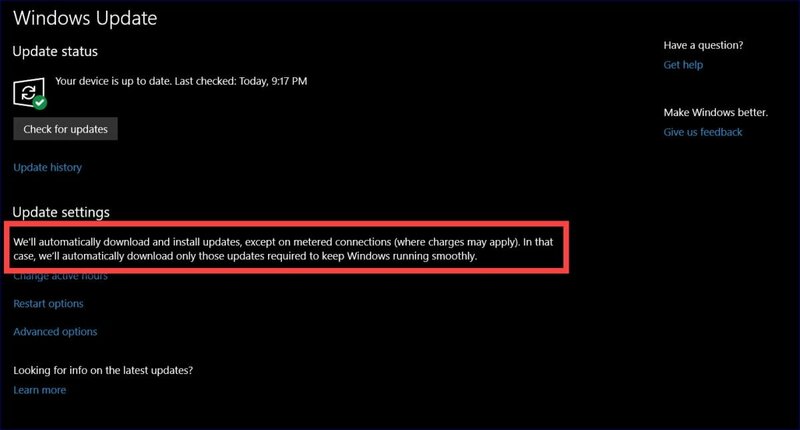 Microsoft has not yet clarified what “updates required to keep Windows running smoothly” are, but it should be safe to assume that these would be security updates. In other words, Windows 10 will download and install updates, whether you like it or not. If you are on a metered connection with data caps or exorbitant data charges, best of luck come Creators Update. 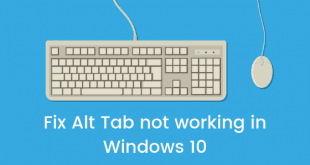 Of course, Microsoft can still change this. There is still yet time for salvation. It is unlikely, however. Hopefully, sense will prevail at some point. The Windows team at Microsoft was working over a 2G connection during the Bug Bash. It was an effort to grasp the difficulties of the developing world, so there is clearly some hope. But if that effort does not produce something tangible, then what was the point?